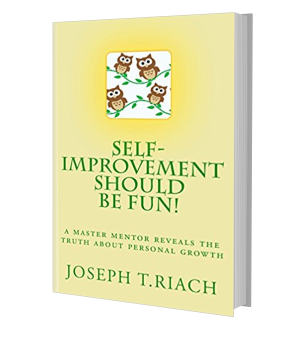 Tom's Books - Self-Improvement Should Be Fun! "Self-Improvement Should Be Fun!” is the first in my Tom's Books series of original copyright press releases sent from my happy home in the sunny south of Portugal. Self-improvement should be fun! Whatever you do in life you will do it better by being cheerful and kind. If you know how to laugh at yourself then this book will both entertain and enlighten you. And if you don't know how to laugh at yourself then this book will show you how to while becoming a better person in the process! 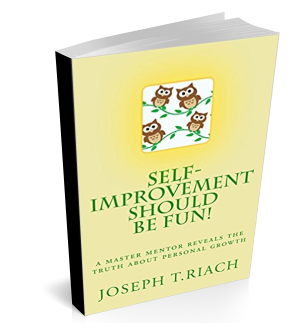 “ 'Self-Improvement Should Be Fun' is a gloriously original view of personal development. It is seriously well crafted by a skilled writer and addresses the topic with undeniable authority. It is revealing, inspirational and funny too! There is no other book in the category comes close to matching the author's unique mix of gravitas and humour. 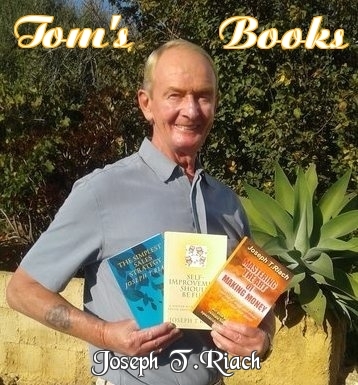 Joseph T.Riach (Tom) has brought to life in vivid fashion his lifetime of experience in assisting people regarding their lives, labours, dreams and aspirations in a rich blending of his personal views and experiences. He expresses with conviction and clarity his belief that bettering yourself should be an enjoyable endeavour and helps you to identify why and how personal development will work for you. 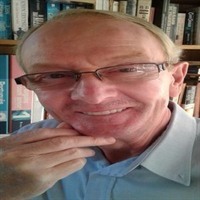 In this remarkable book Tom shows that by consciously smiling, laughing and creating humour in your life you can make yourself lighter, more relaxed and at ease with yourself and those around you. He asserts it makes sense to make fun and enjoyment central to your existence. For many years I have run my WAKE UP LEISURE AND LEARNING BREAKS (click on) where I talk of success and of creating serious wealth. Or send for my SELF-IMPROVEMENT SHOULD BE FUN! (click on) Amazon best-seller. Its 278 pages of wit and wisdom are sure to get you thinking about how you manage your life. Available in Paperback and Kindle. Click the image below. SELF IMPROVEMENT SHOULD BE FUN! is an original copyright Tom Riach press release, short and to the point. I hope you enjoyed reading it and found it informative and/or entertaining. To learn more or to get in touch with me please visit me on my website at TOMRIACH.COM. Today I host my 'Wake Up Leisure and Learning Breaks', personal mentoring and business guidance, in the tranquility and calm of the sunny south of Portugal and am the author of several books on the subject of successful living.